Anyplace Control provides a secure way to access and control your PC remotely. The software displays desktop of remote PC on your monitor and allows you to use your mouse and keyboard to control remote PC. Anyplace Control can be installed remotely, without the need to visit users' PCs individually. It works with dynamical IP addresses and bypasses routers and firewalls without any network settings. 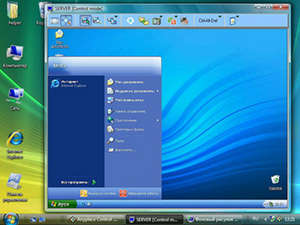 Anyplace Control 6.0 is a shareware program and can be used as a demo to try the software until the free trial period has ended. A full version of the program is available after the trial period ends. For security reasons, you should also check out the Anyplace Control download at LO4D.com which includes virus and malware tests. Additional screenshots of this application download may be available, too. Anyplace Control has a presence on social networks.